Joe Safdie has published Mary Shelley's Surfboard (Blue Press, 2005), September Song (Oasis Press, 2000), Spring Training (Zephyr Press, 1985) and Saturn Return (Smithereens Press, 1983) and, in the 80s and early 90s, edited two literary magazines, Zephyr and Peninsula. He lives, writes and teaches in San Diego. 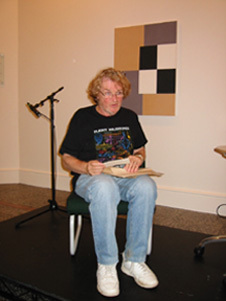 James Sanders is the member of the Atlanta Poets Group with the slowest idiom. The group publishes the sound poetry magazine aslongasittakes (www.aslongasittakes.org) and the paper-based magazine spaltung (spaltungmag.blogspot.com). Goodbye Public and Private (BlazeVox) is James' book out now. Larry Sawyer sells unreal estate on the Internet. His poetry and critical reviews have appeared in Van Gogh's Ear (France), Jacket (Australia), The Prague Literary Review, Unpleasant Event Schedule, Outlaw (UK), Mad Love, Skid Row Penthouse, Paper Tiger (Australia), Tabacaria (Portugal), Hunger, Skanky Possum, Exquisite Corpse, NY Arts Magazine, RANGE, can we have our ball back?, Shampoo, WORD/ for Word, Versal (Holland), The Tiny, Coconut, 88, Court Green, The East Village, and elsewhere. His chapbooks include Poems for Peace (anthology, Structum Press); A Chaise Lounge in Hell (aboveground press, Ontario, Canada); and Tyrannosaurus Ant (mother's milk press). Sawyer edits www.milkmag.org with Lina ramona Vitkauskas and curates the Myopic Books Poetry Reading Series at Myopic Books in Wicker Park, Chicago. His blog is http://larrysawyer.blogspot.com/. Forthcoming work will appear in The City Visible: Chicago Poetry for the New Century (Cracked Slab). Photo by Ben Watkins Christopher Sawyer-Lauçanno is a poet, translator and author of numerous literary studies including biographies of Paul Bowles and E.E. Cummings. His translation of the Chilam Balam, Destruction of the Jaguar, was published by City Lights in 1987. From 1991 until his retirement in 2006 he was writer-in-residence at MIT. Kate Schapira lives in Providence, Rhode Island, where she writes, teaches, curates the Publicly Complex Reading Series, and assembles In Hand Books, an occasional imprint. Recent and forthcoming chapbooks from other sources include The Painting (Rope-A-Dope Press), Case Fbdy. (Rope-A-Dope Press), and The Love of Freak Millways and Tango Wax (Cy Gist Press); other work has recently appeared in Aufgabe, Denver Quarterly, Cannibal, Ecopoetics, Otoliths, Action Yes, and A Sing Economy (Flim Forum Press). 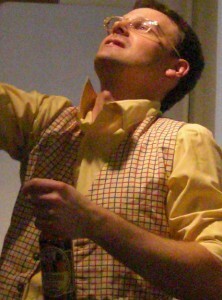 Jared Schickling has three books with BlazeVOX, O (2009), submissions (2008), and Aurora (2007). He's an editor at Mayday Magazine, New American Press, and Reconfigurations. Gerald Schwartz was born in 1958 in Pottsville, Pennsylvania. 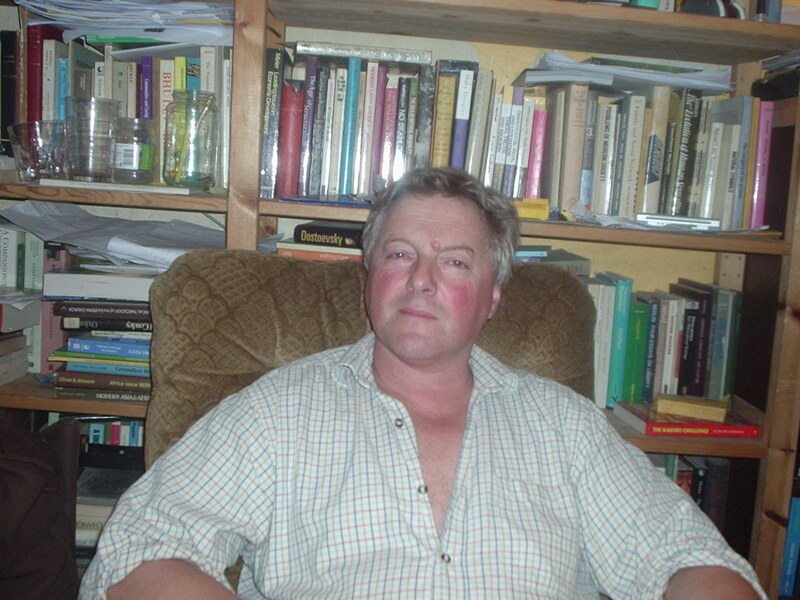 He is the author of Only Other Are: Poems (Legible Press). 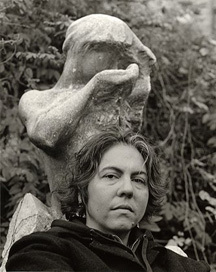 Photo by Shannon O'Brien Mark Scroggins is the author most recently of The Poem of a Life: A Biography of Louis Zukofsky (Shoemaker & Hoard, 2007) and a book of poems, Anarchy (Spuyten Duyvil, 2003). 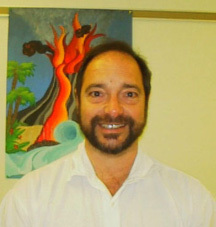 He lives and teaches in south Florida, where he maintains the weblog Culture Industry (http://kulturindustrie.blogspot.com). Hugh Seidman's most recent collection, Somebody Stand Up and Sing (New Issues Press), won the Green Rose prize. An Ebook, New Poems, is downloadable on the Web from Ahadada Books (http://www.ahadadabooks.com/content/view/55/41/). Spencer Selby is the author of eight poetry books, four compilations of visual work and a study of film noir. His most recent book is FLUSH CONTOUR (Otoliths, 2008). Ann Elliott Sherman was born and raised in Bakersfield, CA. (A year behind Frank Bidart’s little brother Leonard in school, she once collected grits and blackeyed peas for a canned food drive from Buck Owens, a few doors down from the Bidarts’ on Panorama Drive. Two years later, Buck asked to buy her a drink in an airport lounge during a layover.) Ann’s formal education and former legal career are her equivalent of an ill-fated first marriage. In the mid-1980s, she hosted a weekly poetry show on KALX and studied with Tom Clark. 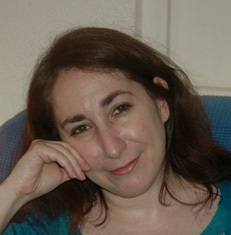 From 1992–2000, she wrote art reviews for Metro, an alternative weekly published in San Jose, CA. During this time, she was a member of Writing in the Margins, a women’s writing group led by Margarita Luna Robles, and a founding/performing member of a multidisciplinary arts group, the Collaboratory. Ann has published various handmade chapbooks, the guerrilla chap-pad Free—Take One, and has not published several other manuscripts of which she remains inexplicably fond, including Stubborn Desire. Her work has been published in Blind Date, Carbuncle, Galley Sail Review, Skanky Possum, Little Elegy, Log, Shampoo, can we have our ball back? and The Pedestal. She was featured in the Monday Night at Moe’s Books series in Berkeley in January 2007. Since late 2007, she’s been sending out an email poetry newsletter, The Monkey’s Paw, and organizing the annual Luna Park Chalk Art Festival. Ann currently serves on the advisory board of ARTSHIFT San Jose (www.artshiftsanjose.com ).She lives in San Jose with her husband/business partner Chris Jones and two sons, Devin and Owen. Larisa Shmailo's new new chapbook is A Cure for Suicide (Cervena Barva Press 2008), and new poetry CD is Exorcism (SongCrew 2008). Larissa has been published in Fulcrum, Rattapallax, Drunken Boat, MiPoesias, and other publications. 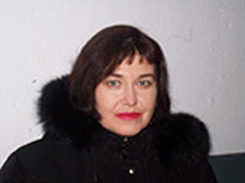 Larissa translated the Russian Futurist opera Victory over the Sun by A. Kruchenych; a DVD of the original English-language production is part of the collection of the New York Museum of Modern Art. She also contributed translations to the anthology Contemporary Russian Poetry published by Dalkey Archive Press. Larissa Shmailo is a director of TWiN Poetry, an informal international collective of recording poets and their listeners, a public coordinator for the annual Fulcrum, and curator of the New York City-based reading series Sliding Scale Poetry. Her first poetry CD, The No-Net World (SongCrew 2006) has been heard on radio and Internet broadcasts across the U.S. and the U.K. Larissa is listed in the Poetry Kit Who’s Who in poetry. 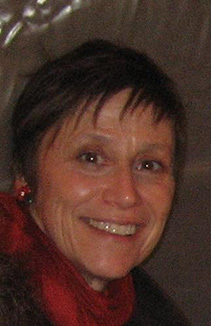 Lisa Siedlarz has published work in Calyx, Connecticut Review, Louisiana Literature, Main Street Rag, Rattle, South Carolina Review, and other journals. She was awarded the 2006 John Holmes Poetry Award and the 2007 Leo Connellan prize. 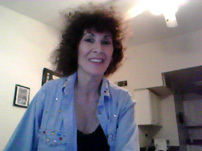 She currently edits the Connecticut River Review, the poetry journal for the Connecticut Poetry Society. She is an MFA candidate at Western Connecticut State University and works for Southern Connecticut State University as the Financial Aid Administrator. 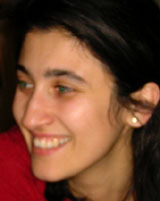 Özlem Silverstein was born in Istanbul, Turkey. She has participated in numerous group shows in Europe, Canada and the United States: The Arab American Museum, Macedonia’s Museum of Tetovo, the Gorman Museum at UC Davis and Abersytwyth Ceredigion in Wales, to name a few. Presently she is a student of philosophy and painting/printmaking at the University of Arizona in Tucson. 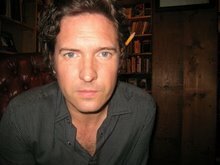 Jonathan Skinner's poetry collections include With Naked Foot (Little Scratchpad, 2008) and Political Cactus Poems (Palm Press, 2005). 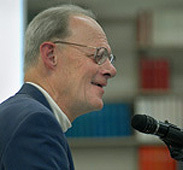 His essays on the poets Ronald Johnson and Lorine Niedecker appeared in 2008 in volumes published by the National Poetry Foundation and by University of Iowa Press. Skinner edits the journal _ecopoetics_ and teaches in the Environmental Studies Program, at Bates College in Central Maine. 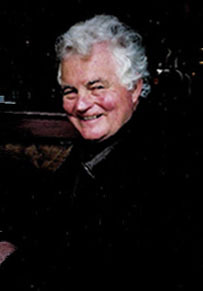 Bruce Ross-Smith was born in the Cowichan Valley, Vancouver Island, on February 10, 1949 and enjoyed an education on both sides of the Atlantic. He has for most of his career been a teacher, currently in Social Anthropology and European Studies, and lives with his lecturer wife and four children on the slopes of Oxford's Headington Hill. Bruce has written far more than he should and arguably published too little. 'In the tune of the winds' : discrete scenes from le Beaussart', is his first piece on George Oppen, and on Mary. 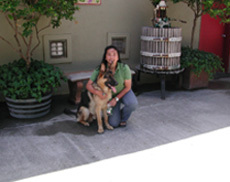 Dale Smith lives in Austin, Texas, with the poet Hoa Nguyen. His poems, essays, and reviews appear in Chicago Review, Damn The Caesars, Jacket and in other print and digital media. 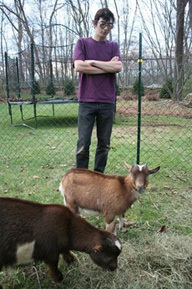 He is the author of several books - most recently, Susquehanna - and writes a popular poetry blog, Possum Ego (http://possumego.blogspot.com/). Leverett T. Smith, Jr. is emeritus Professor of English and Curator of the Black Mountain College Collection at North Carolina Wesleyan College. He is the author of Eroticizing the Nation: Michael Rumaker’s Fiction (Asheville, NC: Black Mountain College Museum and Arts Center, 1999). 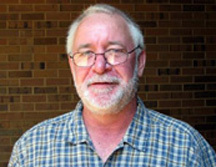 Kelwyn Sole is professor of English at the University of Cape Town. His previous collections are The Blood of our Silence (1987), Projections in the Past Tense (1992), Love that is Night (1998), Mirror and Water Gazing (2001) and Land Dreaming (2006). Joseph Somoza, writes and takes part in community poetry and art activities in Las Cruces, New Mexico, where he lives with wife Jill, a painter. 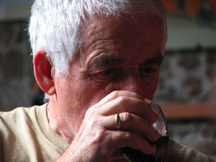 His most recent book of poems is Shock of White Hair (Sin Fronteras Press, 2007). James Spitzer is an artist living and working in Northern California. Jayne Lyn Stahl is a widely published poet whose work has appeared in such little magazines, and anthologies, as City Lights Review, The New York Quarterly, Pulpsmith, The Jacaranda Review, and Exquisite Corpse. She is also an essayist, playwright, screenwriter, and member of PEN American Center. Matina L. Stamatakis currently resides in upstate New York as a freelance photographer, writer, noise artist, and mother. Her works have been featured or are forthcoming in several magazines including Coconut, La Petite Zine, Free Verse, Milk and Blaze Vox. Metempsychose (Ypolita Press, 2008) is her latest publication. Jared Stanley was born in Arizona, raised in Northern California, and currently lives in the San Joaquin Valley of California. He's the author of Book Made of Forest (Salt, 2009) and the chapbooks, I Something Scott Inguito You (Scantily Clad), The Outer Bay (Trafficker), and In Fortune (w/Lauren Levin and Catherine Theis) (Dusie e/chaps). With Lauren Levin and Catherine Meng, he edits Mrs. Maybe, a Journal of Skeptical Occultism. He lives with a Historian of the West and two lagomorphs. Andy Stewart is in his final year of his MFA degree at San Diego State University. He received a Bachelor’s degree in Professional Writing from Baylor University. This is his second publication with Big Bridge; he is also a contributor to the Review of Contemporary Fiction. Andy is currently working on his first novel. 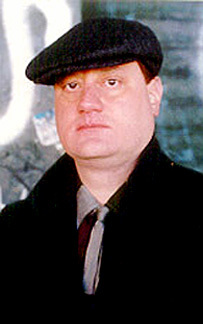 Craig Stormont was born and raised in Queens, N.Y. 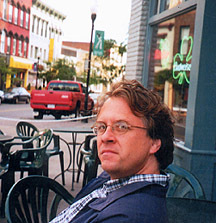 He earned his MA in 1999 by writing a thesis on poet and theorist Charles Olson. He’s currently a Doctoral Candidate at Stony Brook University where he’s at work on a dissertation titled Placing and Tracing Charles Olson: Local Poetics and the Polis at Large. At present, he teaches literature and writing on Long Island. 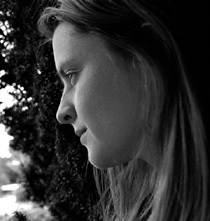 Elizabet Kate Switaj (www.elizabethkateswitaj.net) has two full-length volumes of poetry forthcoming, namely, How to Drink a Floral Moon from Blue Lion Books, and Magdalene & the Mermaids from Paper Kite Press. Her chapbook, The Broken Sanctuary, is currently available from Ypolita Press. She teaches at Shengda College of Zhengzhou University in China, and edits Crossing Rivers Into Twilight (www.critjournal.com). 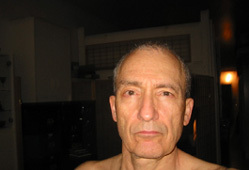 Will Swofford is a specialist in tantric media and currently the Director of Akashic Affairs under "Iradada" Cohen the shapeshifter. Founder of Saturnalia, a profit-for-not dedicated to preserving the terma and terra for the benefit of all sentient beings. Collaborative projects include The Ira Cohen Akashic DVD series, Phantomly Oracula: The MacLise Clan Anthology, Celestial Graffiti, Mahasiddhi, Deep Listening and other fables soon to be annouced. He has studied music improvisation with internationally recoginized composers such as Anthony Braxton, La Monte Young, Pauline Oliveros, Alvin Lucier and Ron Kuivila, and is an avid student of South Indian Music under reknowned vocal guru B. Balasubrahmaniyan. 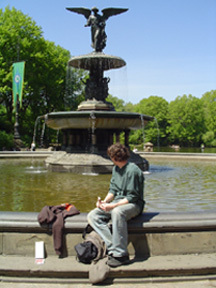 He is currently a resident artist in Deep Listening Convergence, a network of artists utilizing networks as remote performance interfaces linking remote improvisers in interdependent performances and is well know as the curator of Saturnalia Jubilee art/music festivals featuring all-day events of poetry, free jazz, funk, found sound, and ceremonial drones. 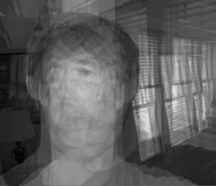 In 2004, Will received a three-year Deep Listening Retreat certificate and is an active teacher of Deep Listening practice developed by composer Pauline Oliveros. Eileen R. Tabios will release in 2009 her Rosary of Thorns: Selected Prose Poems 1998-2008, edited by poet-critic-painter Thomas Fink. John Taggart is the author, most recently, of Pastorelles and There Are Birds. 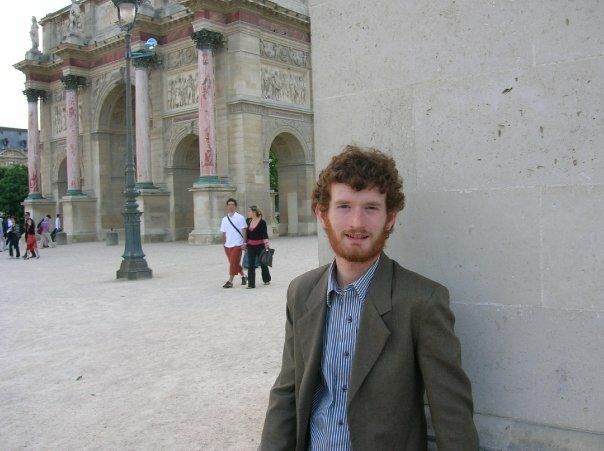 Charles Thorne completed his MA in Literature in 2008. He teaches composition at Bergen Community College in New Jersey. He has recently written reviews for Zen monster. He is also currently editing a contextual edition of Rebecca West’s The Return of the Soldier for Broadview Press. He lives in Brooklyn. Sam Truitt is the author of Vertical Elegies: Three Works (UDP), Vertical Elegies 5: The Section (Georgia), Anamorphosis Eisenhower (Lost Roads) and the forthcoming Vertical Elegies 6: Street Mete (Palm). A selection of his AV work may be found at www.ubu.com. Georgios Tsangaris lives in Vermont, near a nuclear power plant. You can email him at geo@marlboro.edu. 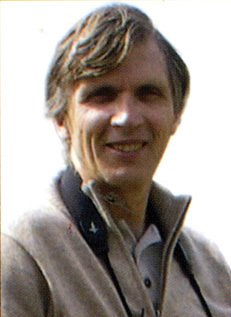 dirk vekemans (b. 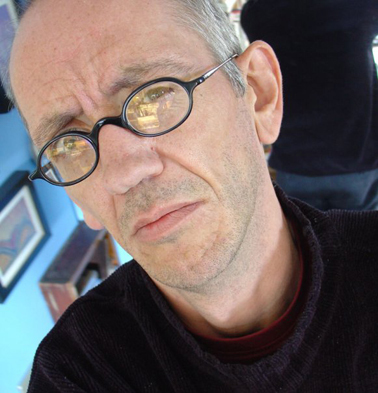 1962 Lier, Belgium) is a Flemish poet (Flanders is the Dutch-speaking part of Belgium) who has been publishing his work on the internet since 1999. His Dutch poetry has gained him publications and recognition in both Holland and Belgium. While his main field is Dutch poetry he is also deeply into prose, painting and other graphic arts, video, programming and all sorts of combinations of those. His poem in this issue is not a translation, but was written originally in English. His works include the Neue Kathedrale des Erotischen Elends, a virtual re-installment of Kurt Schwitter’s Merzbau. Find his work through www.vilt.net. Stephen Vincent's Signals, the photo/poem piece in this issue is from his Ghost Walk series, segments of which can found on his blog at http://stephenvincent.net/blog/. Junction Press recently published Walking Theory, a much acclaimed poetry volume of walking in and around San Francisco (www.junctionpress.com). Other recent works include the ebooks Sleeping With Sappho (faux press) and Triggers (Shearsman). Mark Wallace is the author of a number of books and chapbooks of poetry, fiction, and criticism. Temporary Worker Rides A Subway won the 2002 Gertrude Stein Poetry Award and was published by Green Integer Books. He is the author of a multi-genre work, Haze, and a novel, Dead Carnival. His critical articles and reviews have appeared in numerous publications, and along with Steven Marks, he edited Telling It Slant: Avant Garde Poetics of the 1990s (University of Alabama Press), a collection of 26 essays by different writers. Most recently he has published a collection of tales, Walking Dreams, and a book of poems, Felonies of Illusion. He teaches at California State University San Marcos. I.H. 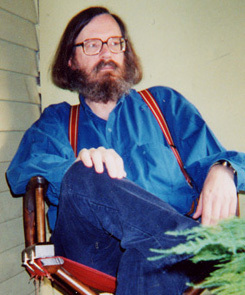 Walton is a Philadelphia-based poet and translator. 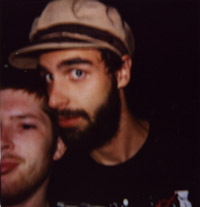 He recently finished The Buzz Cut Boys, a book-length series of interviews, short stories, and poetry about the Iraq war. Henry Weinfield's The Music of Thought in the Poetry of George Oppen and William Bronk, was published in March 2009 by the University of Iowa Press. His most recent collection of poems, Without Mythologies: New and Selected Poems and Translations, was published by Dos Madres Press this past winter. 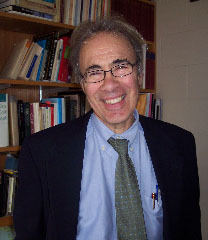 His translation of Hesiod's Theogony and Works and Days (done in collaboration with Catherine Schlegel) was published in 2006 by the University of Michigan Press. 'The Book of Elijah,' his poem/translation on the Elijah story from the Book of Kings, was published by Shofar in June 2009. He is currently working on a new collection of poems and on a study of the blank-verse tradition in English poetry from Milton to Stevens. 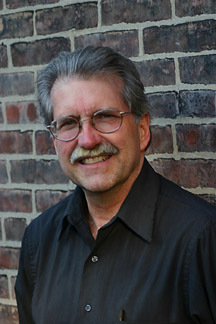 Weinfield is professor of Liberal Studies and English at the University of Notre Dame. Joe Wetteroth is the son of two Catholic school teachers and the grandson of a bartender and washing machine repairman. He writes with a St. Louis, MO group known as Get Born who perform monthly readings throughout the city. A sample of his work can be found inœ Get Born Volume One. 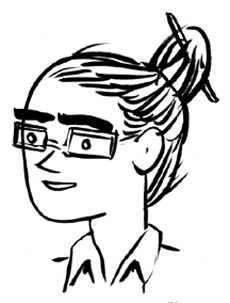 Wetteroth is currently on sabbatical in Chicago, IL working at an all night diner and finishing two books of poetry. Joan Marie Wood’s poetry has been published in Peregrine, Rag Mag (Black Hat Press) and other literary magazines, and in the anthology Essential Love. Her chapbook Splinter was published by modest proposal in San Francisco, and Amherst Writers & Artists Press published her book of poetry, Her Voice is Blackberries. She has studied with Susan Rawlins, Pat Schneider and Diane di Prima, and founded Temescal Writers in Oakland, California, through which she has offered writing workshops since 1995 (www.temescalwriters.com). She also has an abiding interest in her local creek, and co-authored a report on recent water quality monitoring efforts, to be published soon on www.temescalcreek.org. 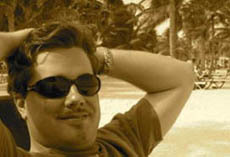 Karl Young's personal home page can be found by clicking here. And his Light and Dust Web anthology can be found by clicking here. 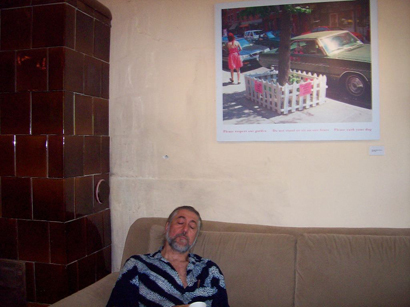 For the beginning of a retrospective of his literary activities, published in Big Bridge, click here. Mark Young's Pelican Dreaming: Poems 1959-2008 was published last year by Meritage Press. His most recent books are Lunch Poems (Soapbox Press), More from Series Magritte (Moria Books), & the e-chap terracotta worriers (ungovernable press). He is the editor of the print & electronic journal Otoliths. Jordan Zinovich is a senior editor at Autonomedia and a member of the Amsterdam Balloon Company. Once, long, long ago in the Dark Forest, he heard Baba Yaga singing and glimpsed her walking hut -- an experience that arrested his maturation. Through the passing years he has grown younger, and smaller, tracking her trail of glimmering words. 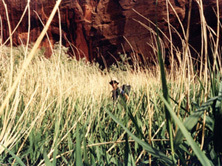 The last piece he published in Big Bridge, “Theodolite’s Survey,” was chosen by Dzanc Books for its Best of the Web 2009 anthology.